Equipment: a deep-fat thermometer; an adjustable-blade slice fitted with French fry or large or 1/4-inch julienne blade. First heat 12/2 inches oil to 320°F in a 5-quart heavy pot over medium heat. While oil is heating, cut potatoes with slice into 1/4-inch sticks. Then fry potatoes in 5 batches for 1 1/2 minutes per batch potatoes will not be golden and transfer with a slotted spoon to paper towels to drain. Then add black pepper and white pepper,salt and flour. And now heat oil to 350°F. 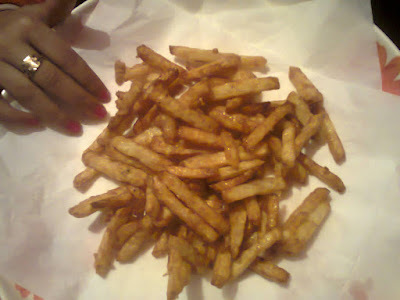 Re fry potatoes in 5 batches until golden and crisp, about 5 minutes per batch, and transfer to clean paper towels to drain. Return oil to 350°F between batches. 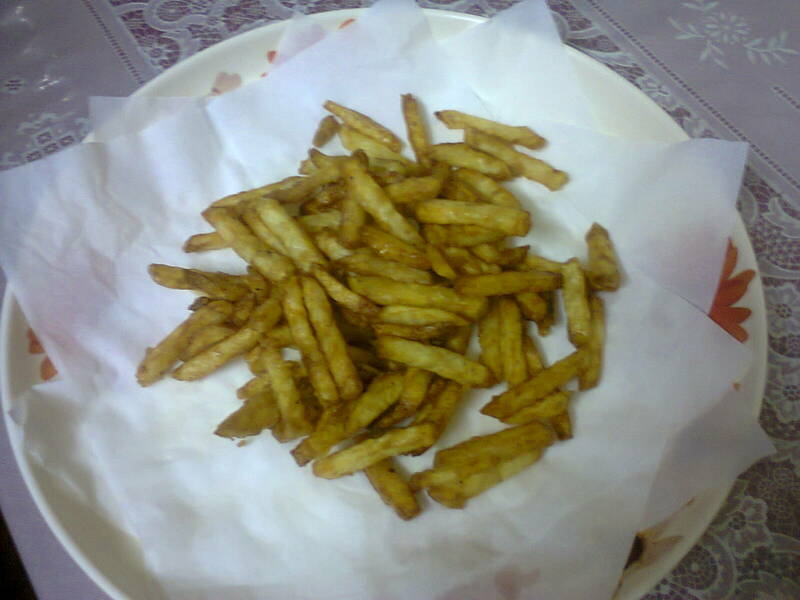 Finally serve this French Fry any decorated plate or bowl.